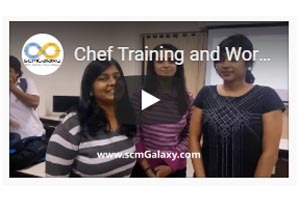 Why to look after multiple courses? When you have Top 16 Tools in One DevOps Course - 20% Off - Enroll Now!! 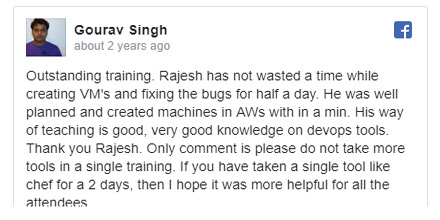 Known, Qualified and Experienced DevOps Trainer. Real time scenario based projects with standard evaluation. Hands on Approach - We emphasize on learning by doing. 80% of the class is consist of Lab by doing. DevOpsSchool is the best DevOps training provider in Pune. Our DevOps training will help help you learn DevOps and make you an expert in software development operations, continuous integration, continuous delivery, continuous deployment using DevOps tools - Git, Chef, Docker, Jenkins, Puppet, Ansible and Nagios and more. Get started. DevOps is a change in organizational culture. It’s a process of continuous learning and improvement. DevOps helps in automating many repeatable tasks which increaseses efficiency and thereby reducing the possibility of manual errors throughout the software development lifecycle. Why everyone should learn DevOps? In an ever changing technologies and market trends, customer are demanding for faster services and solutions. DevOps enable organizations to become more reliable and agile without nullifying the basic standards and practices that are currently in place. DevOps practice aim to meet the changing market demands by improving business efficiency. Therefore having DevOps skills makes you stand apart and a valuable asset for any IT companies. How right DevOps training will help? Better Job Opportunities: A person skilled in DevOps is always welcomed in any top mulitnational company because there huge gap between certified DevOps professional and their availablity. Increase quality of service: Since DevOps brings quick feedback and higher sofware release rate, the quality of service improves, as a result there is significant decrease in error-rate. Adds efficiency to operations: DevOps works on the lean principles which helps in minimizing the wastage of time, and cost by increasing agility of the production and thereby reducing the overhead costs that keep mounting on due to slow processes. Strengthened, Improved Skill and Knowledge on DevOps: The DevOps ideology represents a new way of thinking and decision-making. As there are many technical and business benefits of DevOps and you can learn how to implement them in your organization. How DevOpsSchool.com will help in your DevOps Training Needs? DevOpsSchool Certification Training Course will prepare you for a career in DevOps, the fast-growing field that bridges the gap between software developers and operations. After the training you will become an expert in the principles of continuous development and deployment, automation of configuration management, inter-team collaboration and IT service agility. You will learn modern DevOps tools like Jenkins, Git, Docker, Ansible, DataDog, New Relic and hands-on experience on many more tools. You can describe DevOps concepts and its principle, explain various types of version control systems, and you can set-up your complete private infrastructure using version control systems and CI/CD tools. DevOps certification course from DevOpsSchool is enough for you to become an expert in the domain. They have well-structured courses ranging from beginner to advance level. The course is precisely designed keeping in mind the current industrial requirement. Our training philosphy works on the principle of hands-on approach and designed in a way that will help you in becoming a certified practitioner by providing you an intensified training. To maintain the quality of our live sessions, we allow limited number of participants. Therefore, unfortunately live session demo cannot be possible without enrollment confirmation. But if you want to get familiar with our training methodology and process or trainer's teaching style, you can request a pre recorded Training videos before attending a live class. Will I get any project? We do not have any demo class of concept. In case if you want to get familiar with our training methodology and process, you can request a pre recorded sessions videos before attending a live class? Who are the training Instructors? All our instructors are working professionals from the Industry and have at least 10-12 yrs of relevant experience in various domains. They are subject matter experts and are trained for providing online training so that participants get a great learning experience. No, But we help you to get prepared for the interview. Since there is a big demand for this skill, we help our students for resumes preparations, work on real life projects and provide assistance for interview preparation. The system requirements include Windows / Mac / Linux PC, Minimum 2GB RAM and 20 GB HDD Storage with Windows/CentOS/Redhat/Ubuntu/Fedora. How will I execute the Practicals? In Cloud, We can help you setup the instance in cloud (AWS, Cloudshare & Azure), the same VMs can be used in this training. Also, We will provide you with step-wise installation guide to set up the Virtual Box Cent OS environment on your system which will be used for doing the hands-on exercises, assignments, etc. You can pay using NetBanking from all the leading banks. For USD payment, you can pay by Paypal or Wired. What if I miss any class? 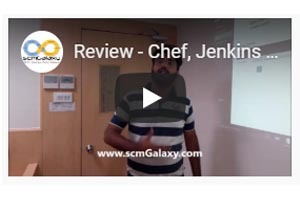 You can view the class presentation, notes and class recordings that are available for online viewing 24x7 through our site Learning management system (LMS). You can attend the missed session, in any other live batch or in the next batch within 3 months. Please note that, access to the learning materials (including class recordings, presentations, notes, step-bystep-guide etc. )will be available to our participants for lifetime. Do we have classroom training? We can provide class room training only if number of participants are more than 6 in that specific city. What is the location of the training? How is the virtual led online training place? What is difference between DevOps and Build/Release courses? Do you provide any certificates of the training? DevOpsSchool provides Course completion certification which is industry recognized and does holds value. This certification will be available on the basis of projects and assignments which particiapnt will get within the training duration. What if you do not like to continue the class due to personal reason? Do we have any discount in the fees? 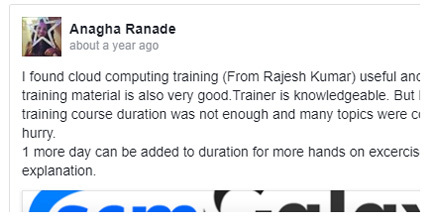 If you are reaching to us that means you have a genuine need of this training, but if you feel that the training does not fit to your expectation level, You may share your feedback with trainer and try to resolve the concern. We have no refund policy once the training is confirmed. You can know more about us on Web, Twitter, Facebook and linkedin and take your own decision. Also, you can email us to know more about us.  We will call you back and help you more about the trusting DevOpsSchool for your online training. How to get fees receipt? You can avail the online training reciept if you pay us via Paypal or Elance. You can also ask for send you the scan of the fees receipt. Going through the reviews from clients and participants provides you the correct insights about any institute. 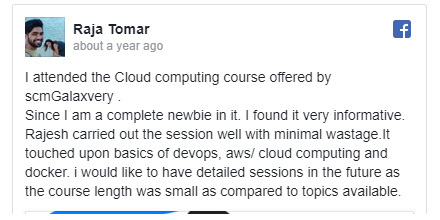 From the below section you can check our clients and participants feedback and experiences about "DevOps School"